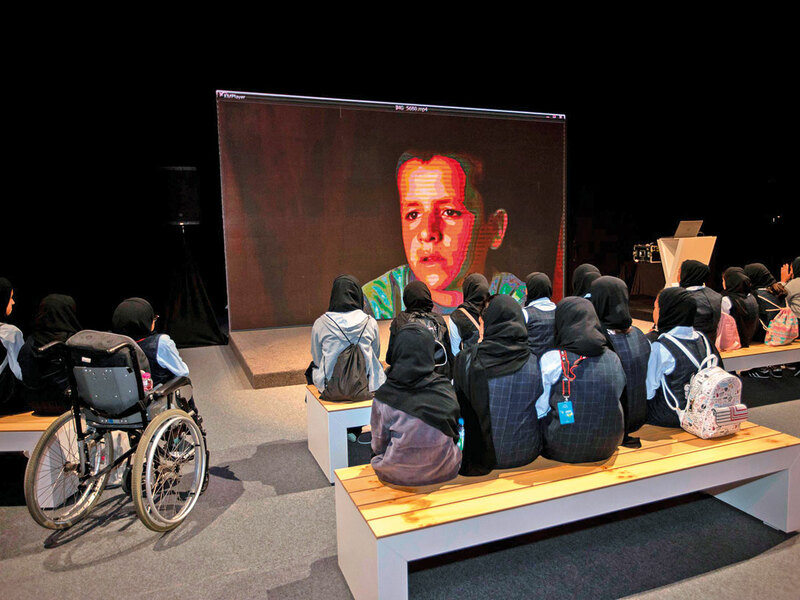 Sharjah: The plight of Syrian refugees in camps in the war-torn country were highlighted in a documentary shown on Wednesday at the Xposure International Photography Festival, at Expo Centre Sharjah. Photojournalist Ramzi Hayder’s documentary showed the effects of poverty, lack of security and social disintegration faced by refugees. The screening took place during a lecture titled ‘Moment 2 Project’, on the first day of the photography festival’s third edition, held under the theme ‘Inspiring Moments’. The documentary showed the dire conditions of Syrians refugees, living in makeshift tents made of basic fabrics, with next to no protection from the scorching summer heat or rough, cold winters. It also showed children longing for security and a safe return to their former, pre-war lives. Through his lens, Hayder focused on the outcomes of war, its effects on displaced people — especially on children who lack the basic skills and necessities to survive and lead normal lives — and the emotional trauma they carry. He also highlighted the dangers faced by refugees and the perilous paths they take in search of shelter and safety, that leave many dead. The Moment 2 Project was launched in cooperation with Unicef and focuses on Syrian refugees between the ages of 7-12. “It aims to utilise imagery as a way of therapy for children to express themselves and highlight their challenges through artistic and peaceful means,” said Hayder. “The project provides 500 cameras to children, teaching them how to use them as a tool a to document their daily activities and living conditions. Additionally, with these cameras, we can identify their talents and nurture them. Children have a unique point of view. Through their lenses, the world can see refugees’ first-hand struggles, and our responsibility to help them,” he added. Organised by the Sharjah Government Media Bureau, Xposure 2018 is open to the public until November 24. More than 700 prints by 90 photographers are being shown across 46 exhibitions, each tackling a different theme and aspect of life.